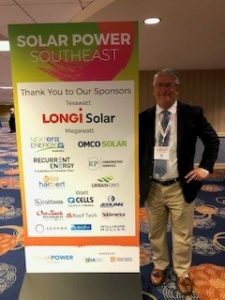 Over 600 attendees, including Tim Zorc, and 50 exhibitors made Atlanta their home for two days in May at the sold-out Solar Power Southeast conference. 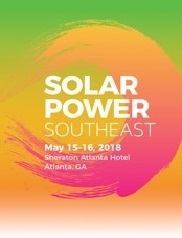 Presented by the Solar Energy Industries Association (SEIA) and Smart Electric Power Alliance (SEPA), Solar Power Events strive to keep the industry moving forward by offering cutting-edge events centered around the trends, technology and research that power the industry. The overall goal of attendees and exhibitors is to match landowners with solar developers. Building for Resilience: Are Microgrids the Answer? Tim has been a proponent of the Green Building benefits for many years, including the use of solar power and natural gas. Richard Zorc & Sons Builders built the first all-natural gas and structured wired community, Hammock Lakes, in Indian River County years ago. With the continued growth of solar, Tim Zorc would love to expand solar power efforts in Florida since the state is projected to be one of the top 10 solar states in the next 5 years.